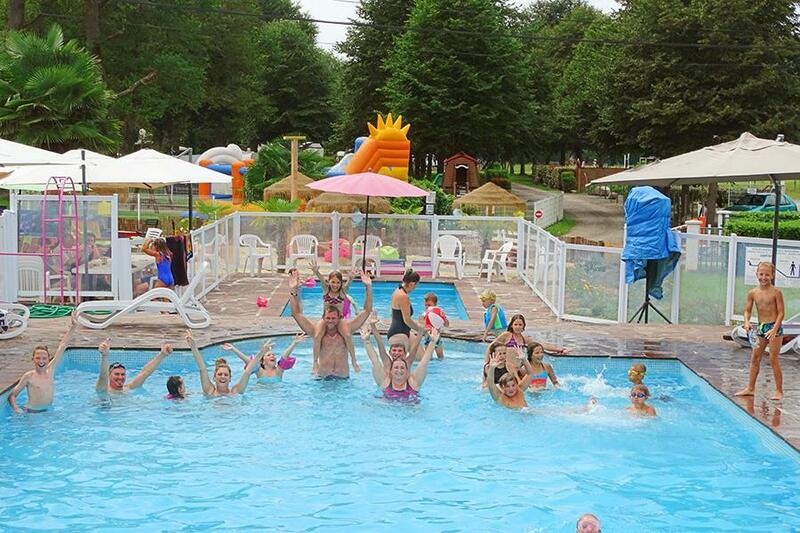 Camp for €16,- a night at Campsite À l'Ombre des Tilleuls in low season with CampingCard ACSI. Campsite À l'Ombre des Tilleuls, located in Lourdes (Hautes-Pyrénées), is a campsite with 99 touring pitches and 11 year round pitches. With your CampingCard ACSI you can camp on one of the pitches during the following periods: 06-04-2019 - 30-06-2019 and 01-09-2019 - 29-09-2019. At this campsite you can not only use your CampingCard ACSI for inexpensive camping, you can also use your ACSI Club ID (as an alternative ID). A fair-sized campsite with very spacious pitches. There is plenty of shade under old linden (lime) trees. Excursions possible, among other places to Lourdes (6 km to the site of the pilgrimage), Tourmalet, Gavarnie and Pont d'Espagne. Would you like to book Campsite À l'Ombre des Tilleuls or request more information? You can do both using the information below or by visiting the campsite's website. The campsite is signposted on the D937 in the direction of Pau (via Bétharram), at approximately 6 km from Lourdes. CampingCard ACSI will send your information request to "Campsite À l'Ombre des Tilleuls".